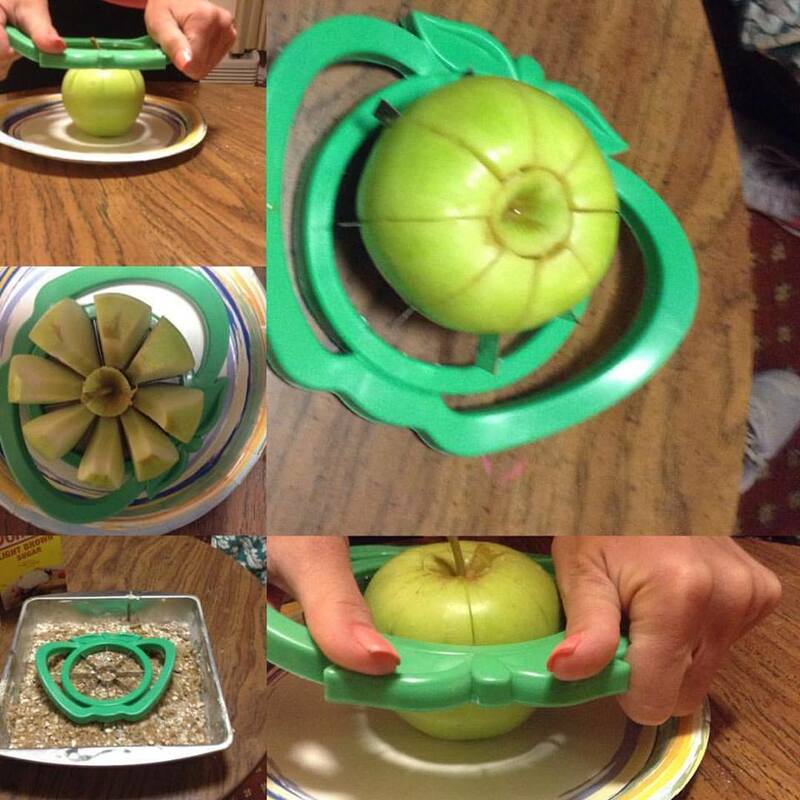 Ok this is my first almost great review that is until this Apple Slicer broke on the 4th apple with the blades breaking through the plastic and causing cuts in my daughter's wrists. Thankfully no stitches needed but there was blood, skin glue, bandages to make everything better. I am just thankful that this did not cut her millimeters away or we might have been looking at a 911 call. I was so excited to get this and loved that it was apple shaped what I didn't like was that it broke on the 4th apple when it says it is long lasting. Sure maybe we got a dud. I did contact the company and hope they will redesign their product and reissue it but MarksvilleandMe can not give this a good review as it is currently made. Simple to Use: Very simple and easy to produce 8 Slices in a second! Start your Convenient Lifestyle From Now On! This slicer is available for Apples, Peals, Potatoes and more. Safe & Easy-clean: Free worry about cutting fingers; Just put it in the dishwasher after use. Designed for Large Size Fruits: This Corer could handle with large size Apples, Peals or Potatoes; The item color may vary. Durable & Attractive Apple Exterior: Made with a Stylish Exterior but Safe Design with two Easy Grip Handles and 8 durable stainless steel blades, It is designed for long time using. Disclosure: MarksvilleandMe received one or more of the products mentioned above as part of a promotion with Tomoson and AmSam. Regardless, MarksvilleandMe only recommends products or services we use personally and believe will be good for our readers. Some of the links in the article may be “affiliate links.” This means if you click on the link and purchase the item, I will receive compensation. If you would like MarksvilleandMe to review a product or service please contact us at marksvilleandme@gmail.com.